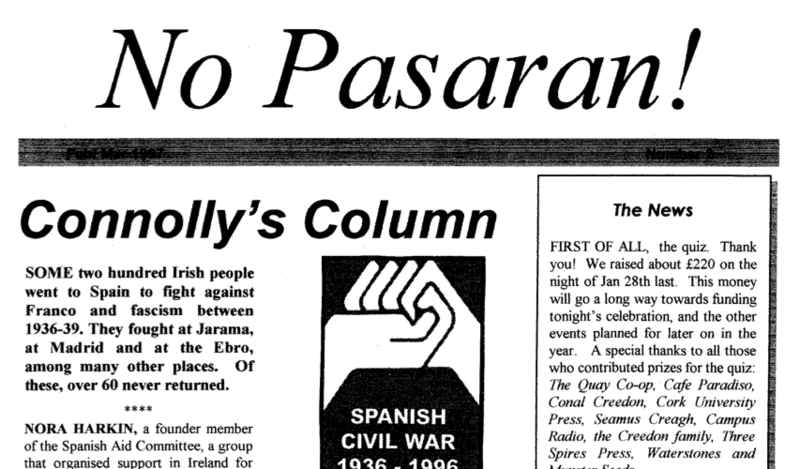 In 1997 a group of Cork socialists got together to put on events to mark the 60th anniversary of the Spanish Civil War and the contribution of the Irish who went over to assist the fight against fascism. 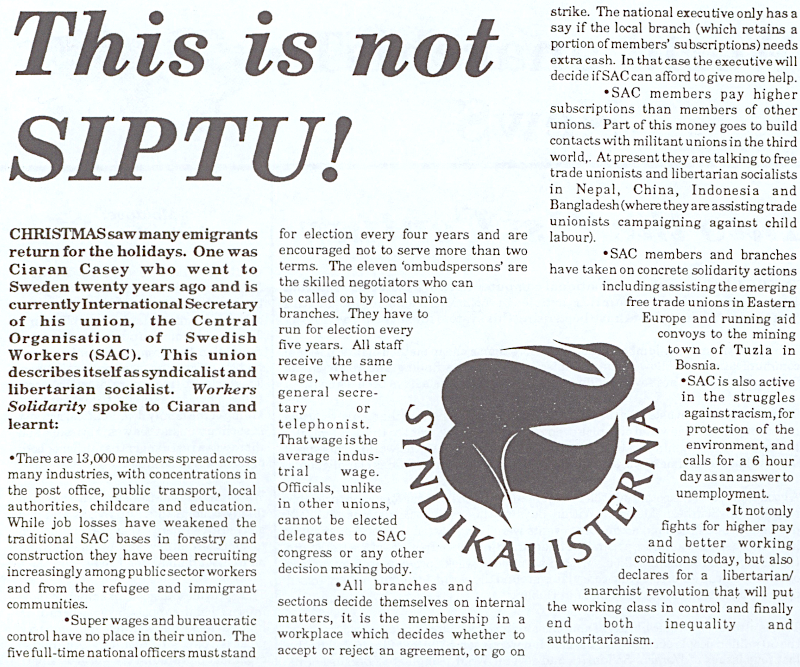 The No Pasaran committee was broad based and included Kevin Doyle of the Workers Solidarity Movement, and two history lecturers, Donal O’Driscoil and Fintan Lane, from University College Cork who had written for the WSM’s magazine Red & Black Revolution. 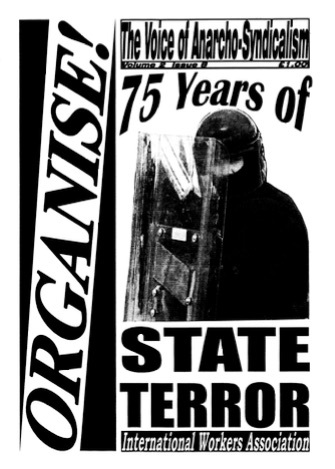 This inclusive composition was reflected in their tributes to anti-fascist fighters from the Communist Party of Ireland, the IRA and the anarchist movement. 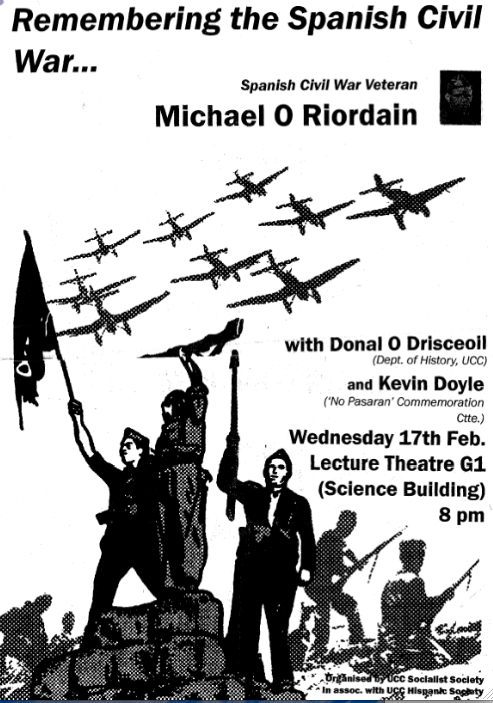 Among those veterans who spoke at their events were Michael O’Riordan and Peter O’Connor, Irish volunteers in the 15th International Brigade, and Nora Harkin of the Spanish Aid Committee. 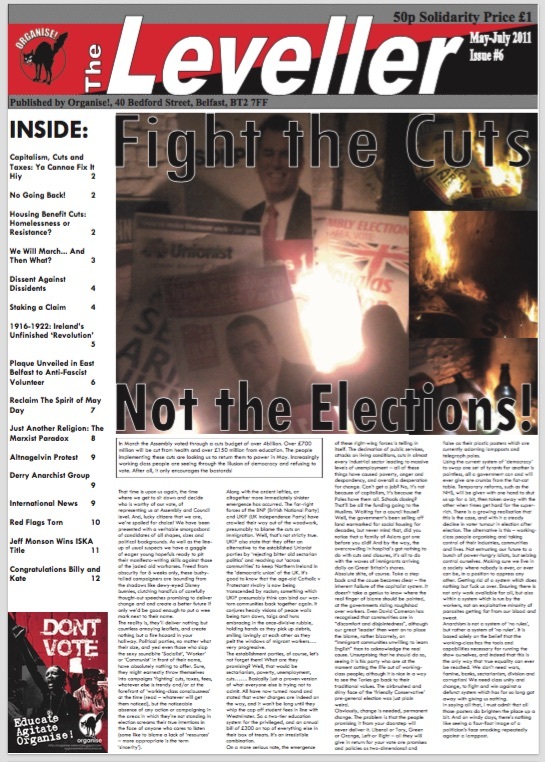 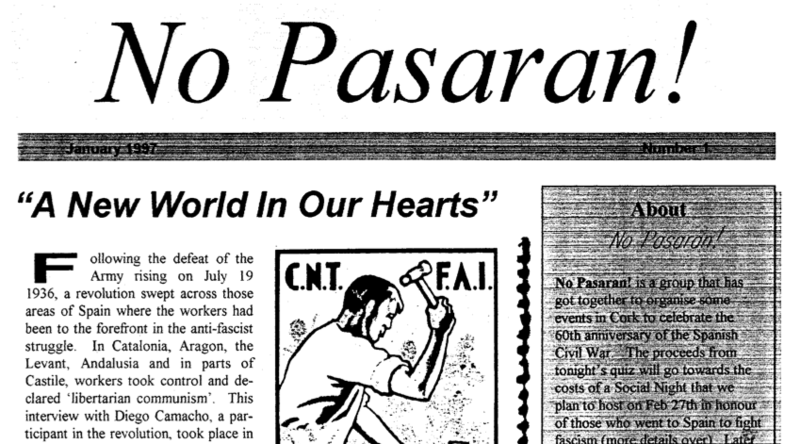 The first No Pasaran bulletin has an interview with Diego Camacho of the CNT, a tribute to Charlie Donnelly, and a short piece about Spanish solidarity with the Liverpool dockers. 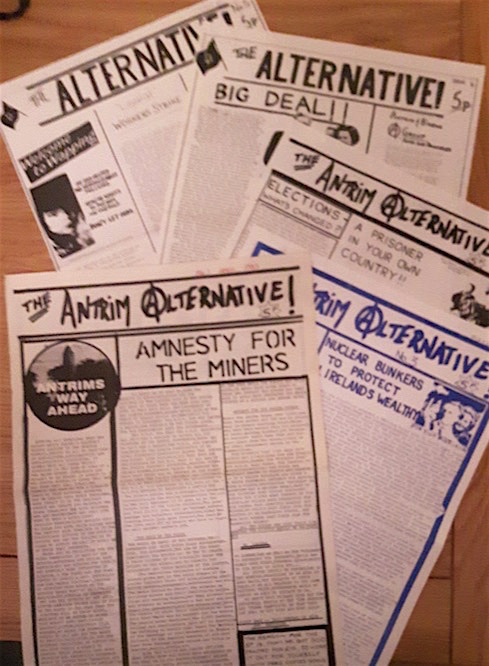 The second one has an interview with Nora Harkin, notice of a workshop on ‘Collectives in the Spanish Civil War’ and of a showing of Ken Loach’s Land and Freedom. 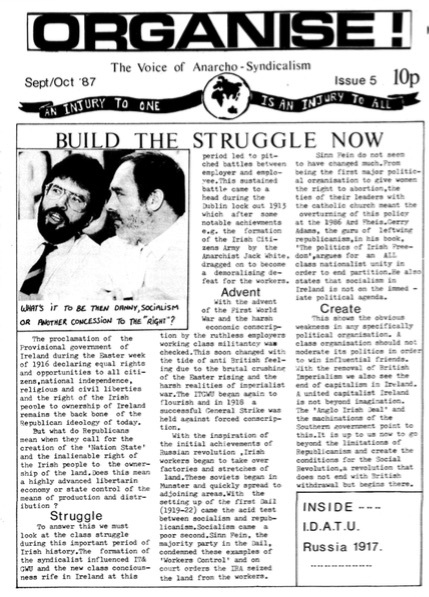 An Phoblacht/Republican News, the weekly paper of Sinn Féin, was Ireland’s biggest selling radical publication throughout the 1980s and 1990s. 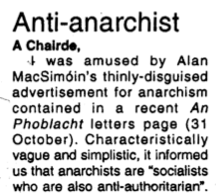 Twice it published letters about the misuse of the word ‘anarchist’. 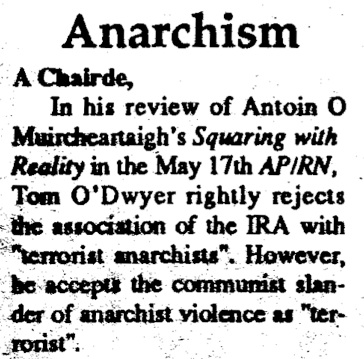 The first cutting, from May 31st 1980, has two letters taking them to task for talking of “terrorist anarchists”. 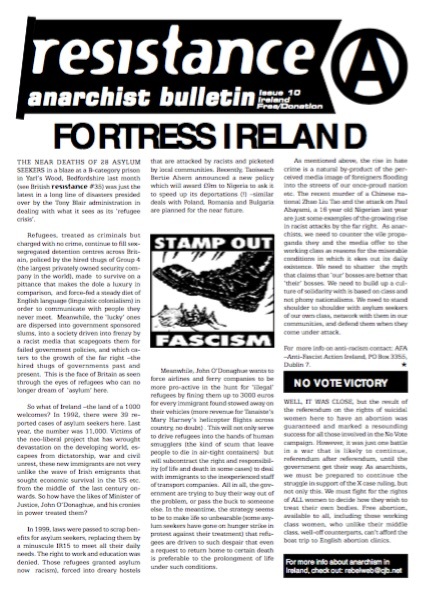 One of the writers, Cathal McLoughlin, had been a member of the Belfast Anarchist Collective. 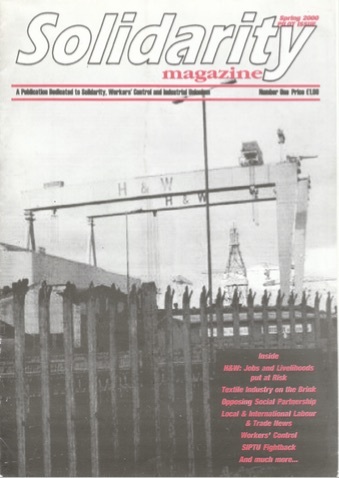 We have no information about the other writer, Neill Roberts. 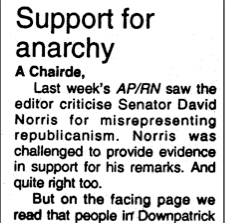 The second cutting, from October 31st 1996, sees the Workers Solidarity Movement complain about AP/RN “turning the word ‘anarchy’ on its head to denote chaos and disorder”. 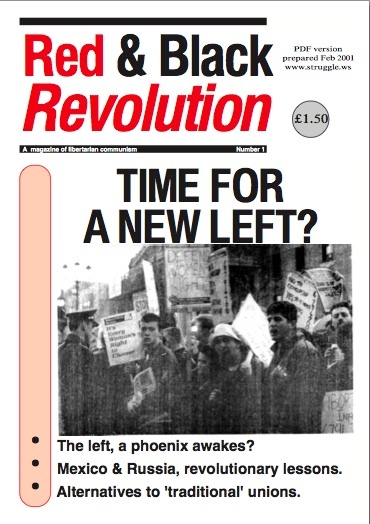 This is followed a couple of weeks later by a letter from an anonymous member of Red Action accusing anarchists of being “due to their anti-patriotic nature, reactionary in character” and “counter-revolutionary”. 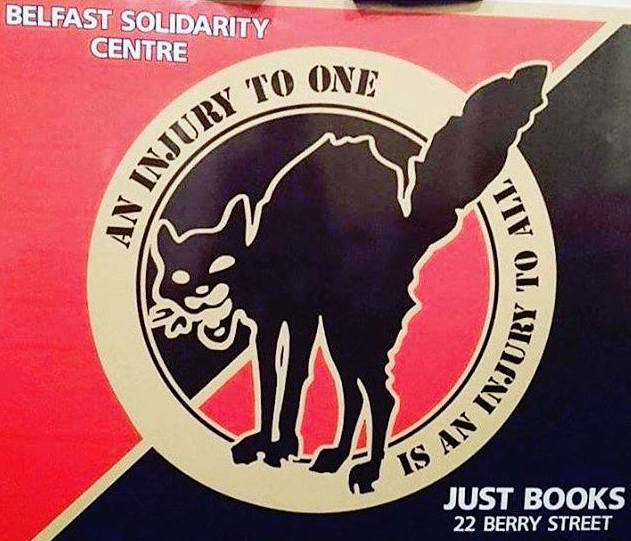 Thanks to Derry Anarchists for this photograph. 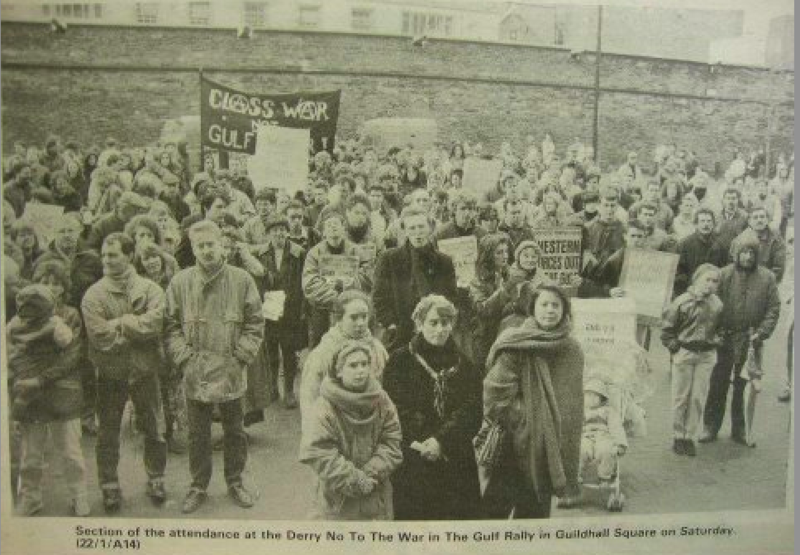 Taken from the local media archive, it shows a Derry anarchist banner during a ‘No To War In The Gulf’ demonstration in the Guildhall Square around January 1991. 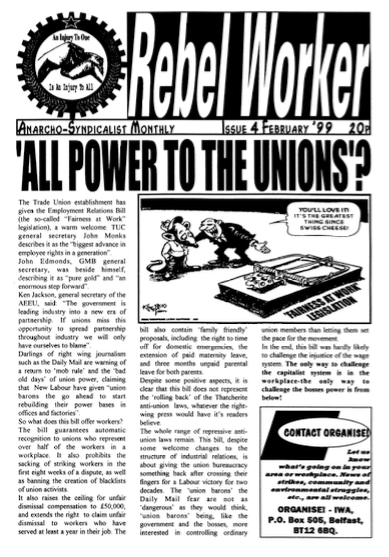 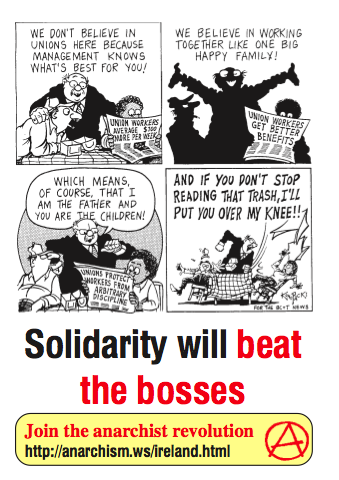 A series of 16 stickers produced by Workers Solidarity Movement members, they advertised a website with information about anarchism, the WSM and some groups and campaigns supported by anarchists. 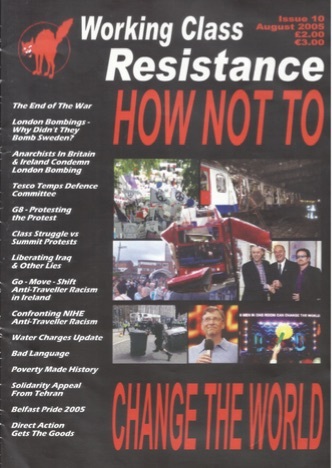 Using a web address unconnected to the WSM was to avoid picking up litter fines of €150.00 for each sticker found on a bus shelter, lamppost or traffic sign.